Saturday, February 7th, was the Monthly On-The-Air Meetup for the RaDAR community. I was not too ambitious on a location. 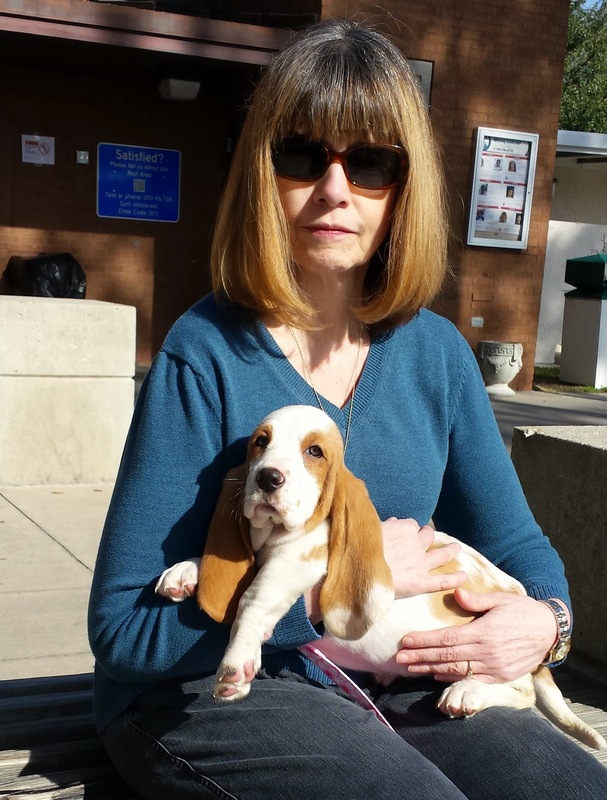 I chose my front yard since I needed to help out with Suzy our basset puppy. As the bands included 40 and 15 meters I decided on a 40 meter dipole. The 40 meter dipole covers 15 on the third harmonic. I also paralleled a 20 meter dipole on the same coax. This makes quite a yard display. I used a tripod structure made from "camo" poles to hold up the center and fiberglass poles for the four dipole ends. The center being only about 24 feet up I would say it qualifies as a Near Vertical Incident Skywave NVIS antenna on 40 meters. Greg N4KGL's setup in his front yard. Center pole for the dipoles. Note there is a rollup 2 meter slim-jim antenna at the top. A 28 watt solar panel just for fun. It topped off the battery so it was putting in more than I was using. My first QSO was actually line of sight to my neighbor K4GXV Vic at the end of my street. 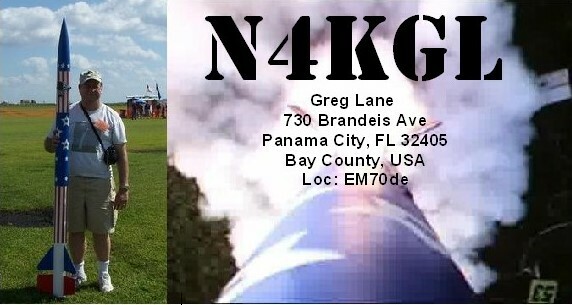 My next CQ yielded a call from KK4SGF in Albany Georgia which is 130 miles away. I'd say that was NVIS. Then, I found Tom G0SWB warming up the 21.350 15 meters frequency. Tom was Pedestrian Mobile. He was between S3 and S6 with fairly good copy. We exchanged grid squares. His was JO01MS49GV. I believe he was running 20 watts and I was running 12 watts. It is a joy to work a /PM DX station. Below is a selfie video of Tom's Pedestrian Mobile gear. Warning it might be scary for small children. I jumped back to 40 CW and ran across AK4JA Bobby in Newnan, Georgia. This was fun because I have worked Bobby several times including 60 meters. I also met Bobby for breakfast when he was in Panama City a while back. We exchanged SKCC numbers. Bobby is one to watch for as he often runs QRPp. Fred VE3FAL was monitoring the meetup on Google+. The -21C wind chill in Thunder Bay, Ontario would not allow an outing there. But never the less Fred suited up with his PRC 104 radio and stepped outside into the weather. We pulled off a QSO back on 21.357 15 meters. His grid square was EN58HH. Note Fred worked KK4QAM Don in Alabama at the end of the video. Don is another RaDAR op and he setup a homemade Buddistick for the meetup. My last QSO was with Mike VE3EDX on 21.063. He sent Grrrrr which is a good sign he was a Polar Bear op. You never know who you will run into. Well it was not in the cards to redeploy and my setup was fairly heavy with the camo poles. I have had good success with the 40/20 dipole combo. It is handy if you can pull it up with a tree limb. I did that for my SOTA outing. 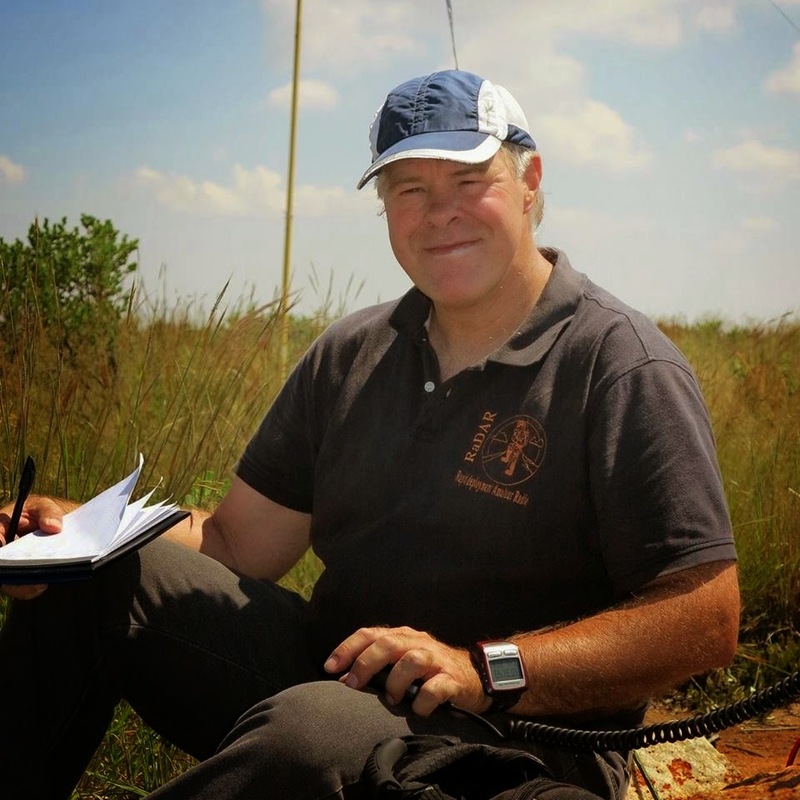 Eddie ZS6BNE was doing a mountain RaDAR adventure in South Africa that started well before the RaDAR meetup. Details to follow he says. I like this photo from the outing he shared. Eddie is the originator of the Shack In a Sack concept in South Africa. 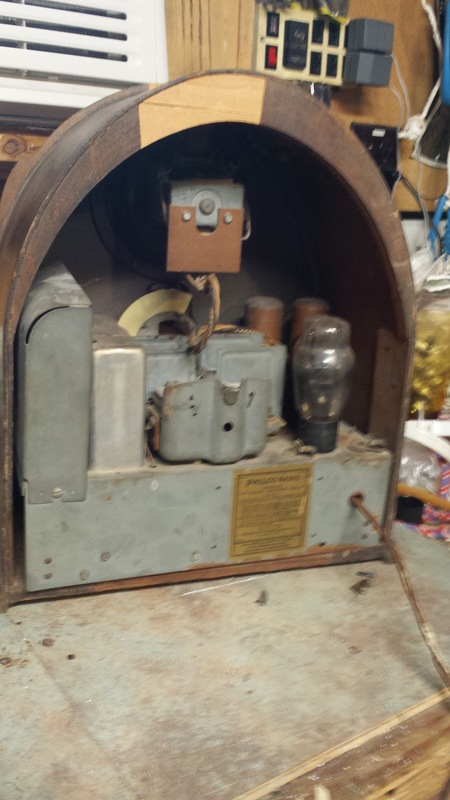 This later became known as Rapid Deployment Amateur Radio or RaDAR. 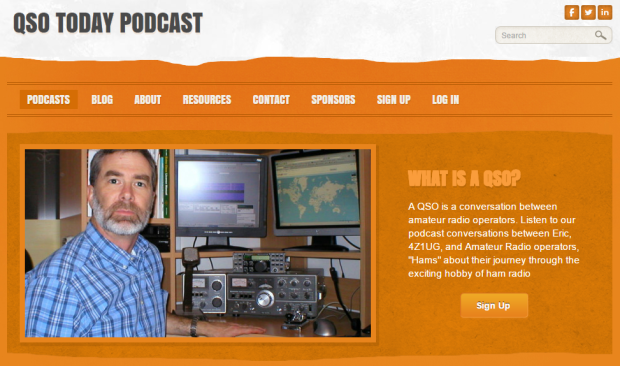 Eddie's life adventure in Amateur Radio is the subject of a recent podcast on QSO Today with Eric Guth. So this was my take on the RaDAR meeting. Not a lot of QSOs but it is hard to beat working my friends doing RaDAR pedestrian mobile. The last photo is Suzy a RaDAR beginner.